The original floppy disk was introduced by IBM in 1971 as a way to serve updated microcode to their clients mainframes. Each disk could hold around 80KB. 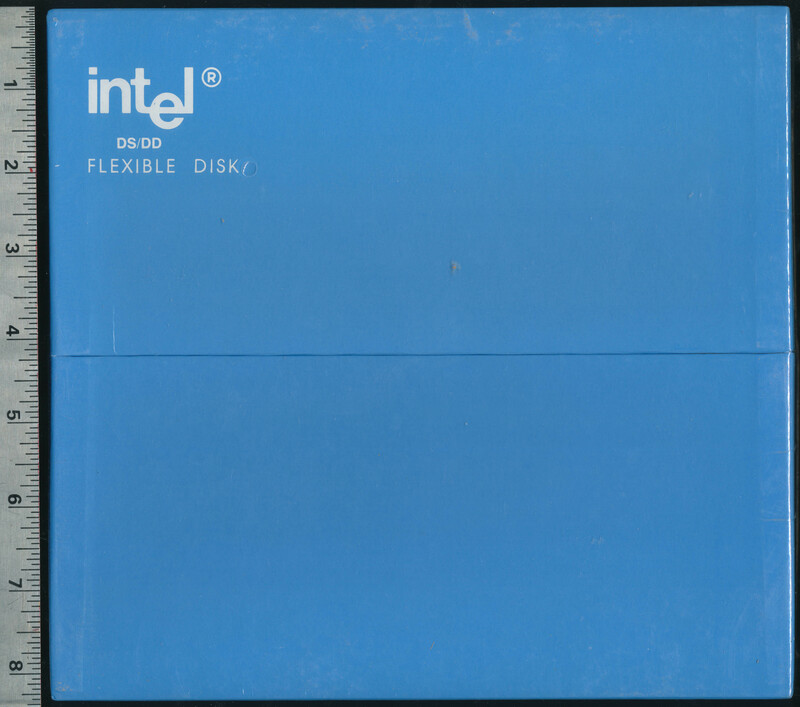 By 1977 the DSDD (Double Sided, Double Density) 8 Inch disk was released which held 1.2MB of data. They were officially known as a ‘Flexible Disk’ but floppy disk rapidly became what people referred to them as. Intel marketed and sold them as well as many other manufacturers. 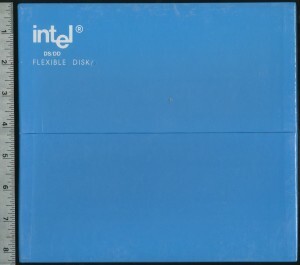 Intel accepted code for MaskROM based processors, on 8 inch floppy, tape, and a variety of other formats in the 1970’s. Certainly 1.2MB was a great plenty of storage for the 1-8KB of ROM most microcontrollers and MaskROMs supported in that era. In 1978 a ‘consumer’ version of the floppy was released, in a more friendly size, but lower capacity. This was the 360KB 5.25″ disk that was eventually made famous by the IBM PC, TRS-80, Apple. and about every other computer of the late 1970’s and early 1980’s. Floppy disks continued to evolve into the late 1990’s trying to compete with the CD-ROM, with capacities eventually hitting 240MB with the LS-240 Laser Servo drive. In the early 21st century companies, largely led by Apple, began to delete the floppy from their computer line up, causing quite a stir. 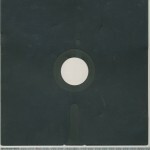 However, users quickly realized that contrary to popular belief, the floppy really wasn’t used much. Ultimately the use of the floppy, and the CD have been replaced with the USB Flash Drive, and in many ways, cloud computing. Apple 1 computers, one of the first personal computers, were introduced in 1976. Now 37 years old they are setting records for auction sales. In September 2010 one fetched over $20,000 on eBay. A few months later one with the original box and papers cleared $200,000. And this week an auction house in Germany sold one for 516,000 Euros (around $670,000 depending on the exchange rate). Apparently a refurbished and now working model. this is one of the highest prices ever for a vintage computer. Who knows, in 30 years the original iPhone 2G may set records for sales, but considering the number built, who knows how many will be around in 2040, or how many will have the original box. 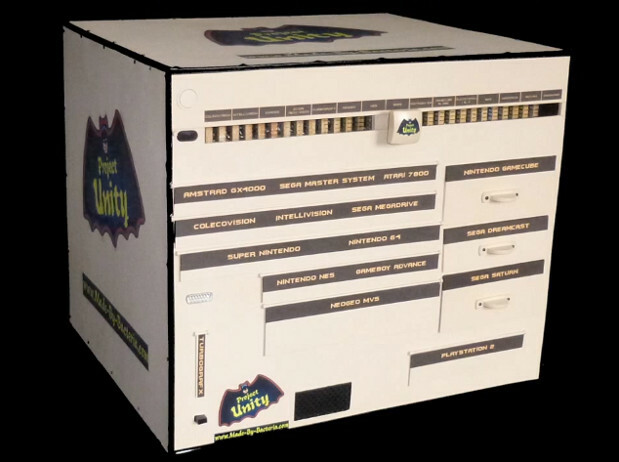 Master Modder Bacteria recently completed ‘Unity’ a single cabinet integrating 15 classic consoles, and capable of playing games from 18 different systems (sme consoles can run more then one type of game. It an impressive feat especially considering he managed to make it work off a single controller, and a single video/audio output. A custom 15-position switch tops off the console. The consoles range from a Intellivision and its oddball CP1610 General Instruments (based on the PDP-11) processor, to the wildly successful 299MHz Sony PS2. Below you can see the variety of systems, and the processors (this IS the CPU Shack after all) that run them. As you can see a few processors are common. Five of the consoles run Zilog Z-80 processors, and 4 run on some variation of the MOS 6502 made famous by the Apple 1 computer. Later consoles shifted towards the RISC based designs of MIPS, PowerPC and the SuperH series by Hitachi (now Renesas). Today’s console continue to use RISC processors albeit at speeds of over 3GHz. 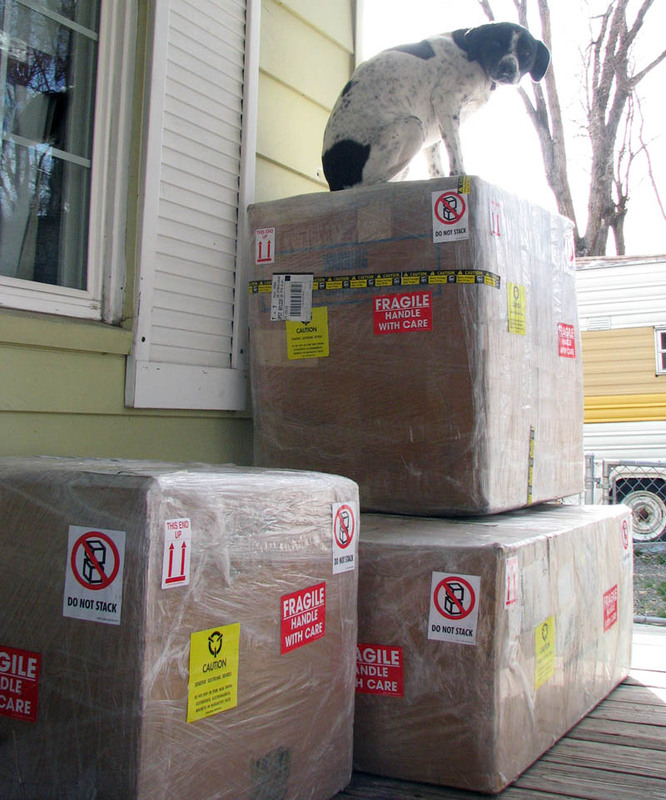 Here at the CPU Shack I handle shipping and receiving for collectors all over the world, this means i have packages coming in daily, dozens of them. Sometimes collectors will go in together to get a large lot of processors etc. Today one such lot arrived, over 2200 wafers from Kokomo Semiconductor. That’s nearly 300lbs. Noel, the CPU Shack’s head of security, does not seem impressed. 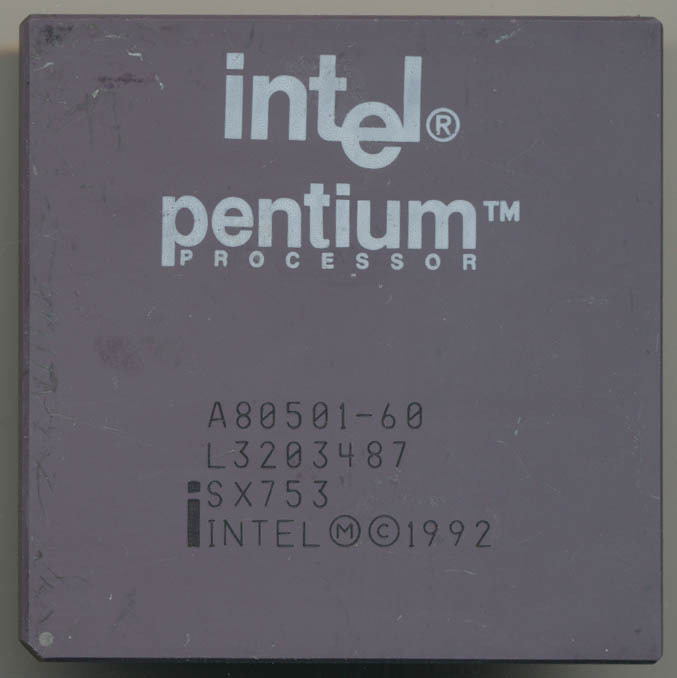 On March 22nd, 1993 the Intel Pentium Processor was released to the public (so yah yesterday but hey whose counting). This was Intel’s first processor with an actual name. Turns out you cannot trademark a number, so the ‘486’ name was being used by everyone (AMD, Cyrix, TI, UMC, IBM etc). 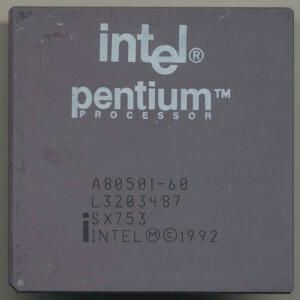 Initially known by its core name, P5, the Pentium was also the first superscaler Intel x86 processor It had dual Integer pipelines, and a single Floating point unit allowing it to issue and complete multiple instructions per clock. 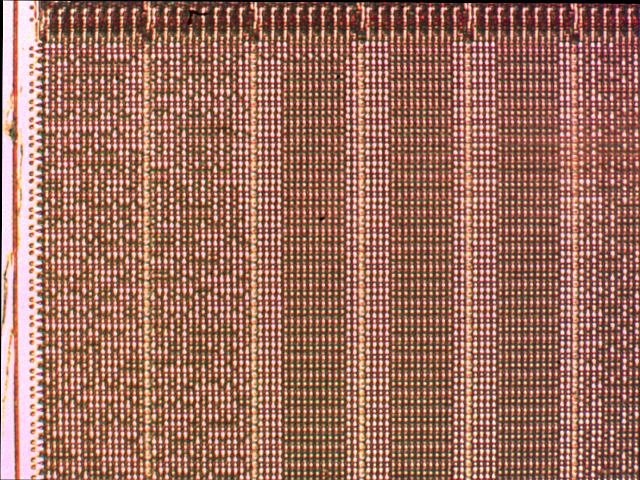 The first Pentiums ran at 60 and 66MHz and were made on a CMOS 0.8micron process with 3.2 million transistors. After only a few months it was discovered that they ran particularly warm and the package was updated with a Copper-Tungsten heatspreader (gold plated). A modern desktop processor such as the Core i7 Quad Core Ivy Bridge contain 1.4 Billion transistors on a 22nm process. The P5 still lives on in the embedded market, and in the Intel Larrabee project which is itself, an updated P54C core (supporting a few more modern features such as x86-64). A few times I get things that are not processors but are memorabilia and are pretty special nonetheless. Today these nice IBM pendants came in. They are very small, measuring barely 37mm square but they weigh an impressive 60 grams. 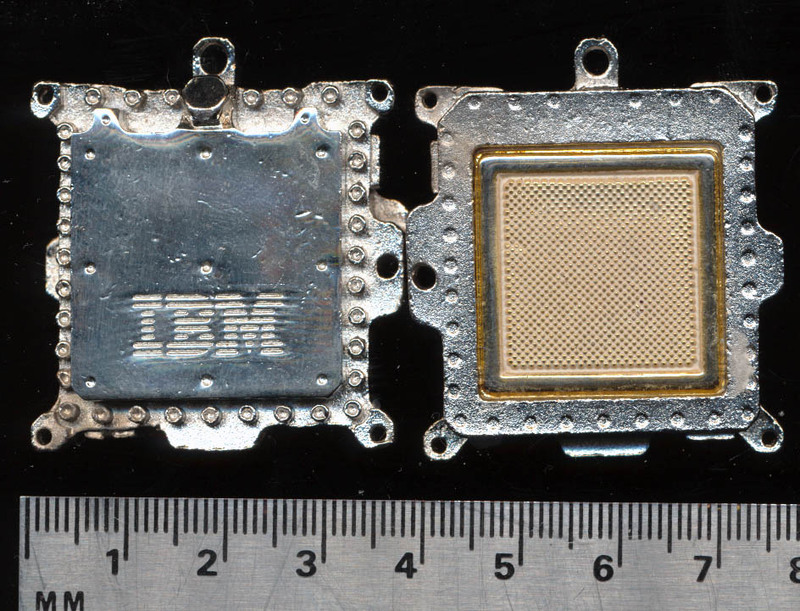 They are a near perfect miniature version of a not so miniature IBM TCM (Thermal conduction module). The 3081 TCM contained the cooling, and a very large MCM used in the 308x mainframe series (made from 1980-1987). Each MCM contained up to 133 dies on a very large ceramic substrate with up to 16,000 contacts for the dies. They were capable of speeds of up to 38MHz. Each TCM was liquid cooled and dissipated around 300 watts of heat. A typical 308x system had 2 dozen of these. 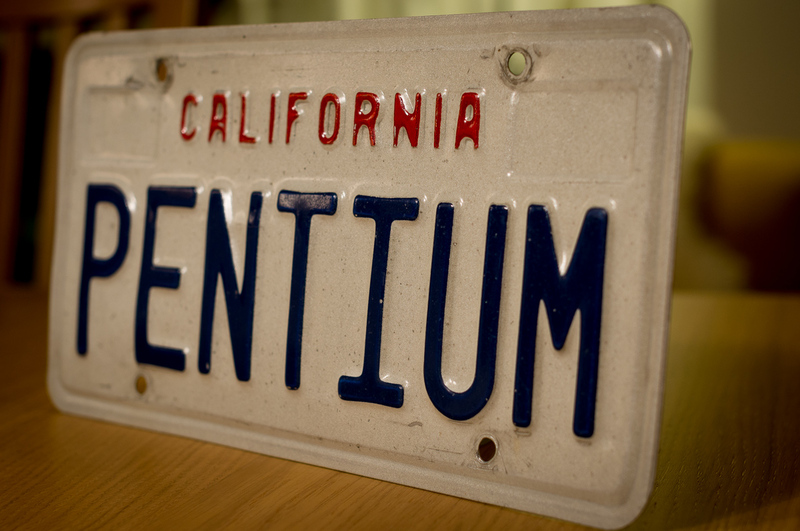 This California license plate came through the museum on its way to a collector in Sweden. I get many items in that are unusual and rare but this was the first processor relates plate I have seen. The best part? It came with some history. It was ordered as a vanity plate by a salesman at Intel around 1995. He was later hired by AMD as a sales person but his car still said “Pentium” which obviously was a bit of a problem. As a token of commitment to his new company he gave it to his manager at AMD, despite the fact that he was offered $3000 for it from an employee at Intel. It likely sat on a desk for some time until it was sold on eBay (for the low price of $100) where it was spotted by a collector in Sweden who asked me to purchase it for him. Users of the Python programming language often say it can do anything, and that may just be true. 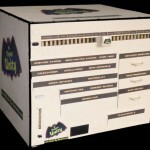 Microcontrollers through out their history have had a variety of ways to store the programs they run. Unlike a microprocessor, a microcontroller typically has a fixed, or somewhat fixed, program that it runs. This program is often referred to as firmware (its not software, as its cant easily be changed, and its not hardware as it isn’t discrete chips, thus firmware). UV-EPROM: The microcontroller has a UV-EPROM as part of its die (or in some cases separate but on the same package). This can be programmed using higher voltages, and erased/updated, albeit not in the field. This was popular in the 80’s for prototyping work. Flash (or EEPROM): This replaced UV-EPROM program storage as it was update-able in circuit, allowing for such things as user BIOS upgrades, updating firmware on CD/Hard Drives etc. This has become fairly standard for any firmware that is likely to need to be upgraded in the future. OTP: One Time Programmable Read Only Memory is useful for medium to large scale production runs. This allows the code to be ‘burnt’ onto a chip prior to shipping. Often all these were were UV-EPROM chips in a plastic package. Early Intel’s even used UV-EPROM chips, and simply painted over the window. 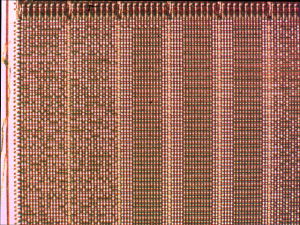 a 2708 UV-EPROM became a 2608 PROM with the simple application of some nail polish. There has been some experimentation and success in erasing/reusing these with the use of X-Rays. (they can penetrate the plastic package). Mask ROM: A Mask ROM is just as it sounds, the program code is actually added to the actual mask itself when making the microcontroller die. This is the most economical and reliable for very large production runs. Obviously one wants to make very sure the code is correct before cutting a mask with it, masks are expensive, and manufacturers are not keen on giving do overs. 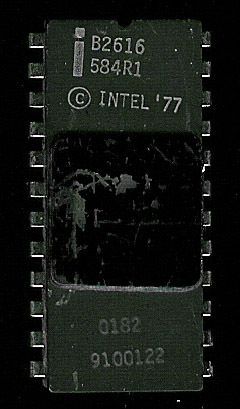 In 1978 Intel charged $1000 Mask fee, and a minimum order of 100 units for an 8k ROM (~$10). By 1986 that Mask fee had risen to $3000 and min units to 1000. So what happens when 20+ years later you need to figure out whats ON a mask ROM? The paper tape, 8″ floppy or punch card the program original was stored on is long since gone. Being that its a mask ROM one can actually SEE the connections, so its possible to decap a device, and visually determine the code, albeit with a lot of tedious work. Adam Laurie of Aperture Labs developed a Python script to automate some of it, and wrote an article explaining it, which covers some every interesting Mask ROM info. Not to mention some very nice pictures, so check it out. Repair or Replace? Not always a choice. A very interesting post by Jack Ganssle over at Embedded.com about his adventures and lessons learned from a trip to the Bahamas and a chat with the engineer charged with maintaining an island Intel 8085 based telecom system. An apt discussion especially with the CES (Consumer Electronics Show) going on, an event showcasing the latest and greatest of what mostly is ‘disposable’ technology. Many devices, however, must still be built for areas, industries, and regions where replacement is simply not a viable option, whether its because of remoteness or lack of parts. 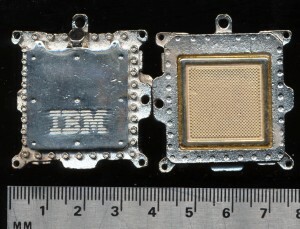 In the early days of computing surface mount devices were few and far between. The DIP rained supreme, and the end user was often very good at debugging with simple tools. Sockets made repairing boards much easier and even discrete resistors could be changed out without much trouble. Upgrading your computer often involved replacing the processor with a faster one, then changing the clock crystal to support it, and switching out individual RAM chips to ones with a faster access time to support the now faster processor. You then used the left over parts to either repair another system, or build another project. JITS (Just In Time Supply) is simply not an option there. And its not just the Bahamas where repair is the only option. It’s not limited to non hi tech areas. When something breaks in space, perhaps the most hi tech environment of all, you can’t go to town and get new parts, you have to make do, that’s real engineering. Apollo 13 showed how things could be repaired with very unusual articles, and similar ‘fixes’ are common on the International Space Station. Give it a read, its as entertaining as it is educational. The HP Input Output Blog has a nice write up on the floppy disk/drive. A very interesting read about a device many took for granted, and many of today’s generation did not ever get to experience. Many do not realize its humble beginnings, and the importance that Steve Jobs, ‘the bum in the lobby,’ played in the 5.25″ floppy becoming a standard. 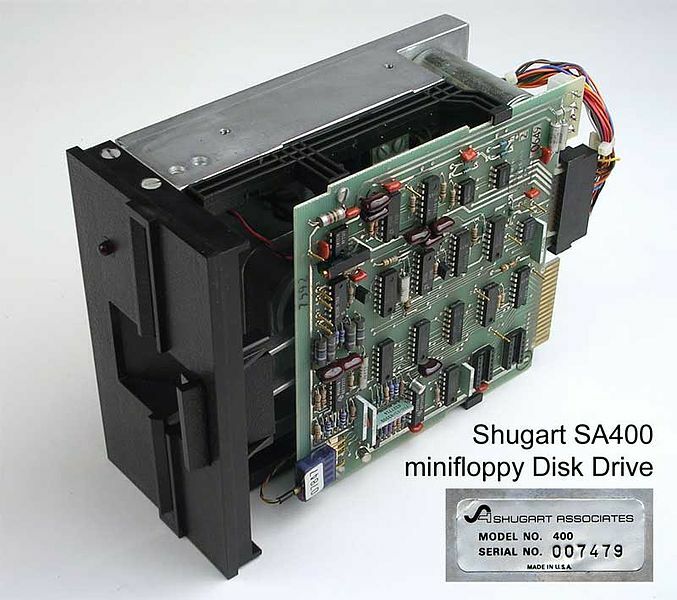 The 5.25″, holding twice what a 8″ floppy could, was developed by Shugart Associated in 1976. 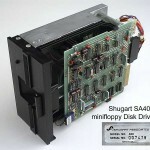 Shugart went on to become Seagate, known today for their hard drives. Hard drives that can store over 2 Terabytes of information. 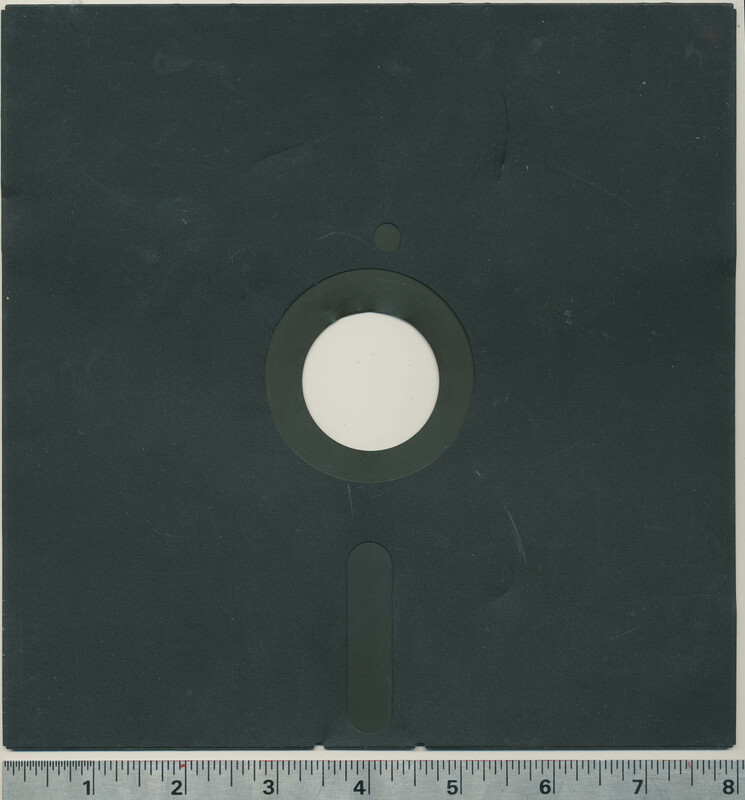 The original 5.25″ floppy? 160K, per side. An 8 inch? 80K a side. Interestingly enough, it was sometime before the Floppy Drive Controller (FDC) was integrated onto a single chip. Many original Shugarts used an Intel 8080 CPU for drive processing. The Commodore 64’s famous 1541 Floppy Drive ran its own 6502 type CPU, and was designed in such away you could actually load code directly to the floppy drive 6502. In the 1990’s attempts were made to increase the capacity, speed, and versatility of the floppy. Apple created a 2.88MB 3.5 inch floppy that never really caught on. There was the LS-120 drive which could use normal 1.44MB disks as well as special 120MB disks (was handy, but so few people had them, they had limited use). Ultimately, like most all technology the floppy has passed by the way side, today’s floppy is the USB Flash drive, holding many gigs of data for only a few dollars. And like the floppy, flash drives are used commonly for sneakernetting files around the office. Perhaps the mbile version of the floppy is the Micro-SD card, remember when Sony built a camera with a 1.44MB floppy drive built in? Not een large enough to store the picture from a cell phone camera today. Head on over and check out the article, its a fascinating story….